AHT Wisconsin Windows is ready to help you make your home more beautiful, more comfortable and more energy-efficient with home improvements including replacement windows, patio doors, and beautiful entry doors. Since our founding more than 50 years ago we’ve worked successfully with our neighbors in the Fox Valley, Madison and across Wisconsin to enhance their homes and reduce their monthly energy bills. All with a commitment to quality materials and products, delivered with superior customer service. DreamBank offers interactive resources to inspire and guide you. We’ll help you along the path of discovering and realizing your dream. Come join our community of dreamers. Our mission at Arc of Life Chiropractic is to help, heal, and serve those who seek to improve their health and overall quality of life now and for in the future. We can help you and your family achieve your health goals whether you just want a "tune up" to maximize your performance & health, or you have specific health concerns like injuries from an auto/work accident, back pain, neck pain, headaches, neurological disorders. 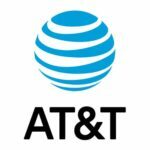 AT&T Inc. (NYSE: T) is a world leader in communications, media and entertainment, and technology. With our acquisition of Time Warner, we are building a truly modern media company that will create the best entertainment and communications experiences in the world. Bath Fitter offers top-quality, customized bathroom remodeling products & services installed in as little as one day. Bath Fitter has been North America's leading manufacturer of acrylic bathtub liners, tub surrounds, shower stall liners, and shower stall replacements since 1984. Bath Fitters goal was to create a long-term, sturdy bathtub liner solution that fit perfectly over old, worn bathtubs but offered more than short-term bathtub refinishing and bathtub resurfacing technologies. Beeville Honey is a family run beekeeping and honey products company located a half mile east of Blanchardville just 39 miles southwest of Madison Wisconsin. Michael is the beekeeper and Stacey and kids market our products at the Argyle and Blanchardville Farmers markets during the summer months. We also take part in many of the Holiday Craft and Vendor sales in the area. We love to share our honey with our customers, helping them make life a little healthier and sweeter.